In a recent interview with Los Angeles’ Big Boy’s Neighborhood, Chris Brown was given time to clear the air regarding rumors. The singer was asked about his feud with Drake and reports about a Jay-Z confrontation. 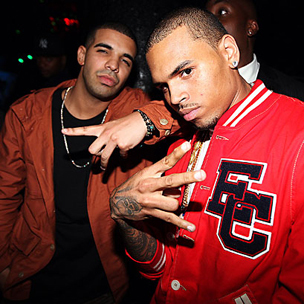 Brown explained that he can’t elaborate on the Drake story due to legal obligations but added that he and Jay were “cordial” to one another. When Big Boy pressed on and asked if he hit Drake or if Drake him him, Brown responded by saying he boxes. As the interview went on, Brown was also asked about an alleged confrontation between him and Jay-Z. Brown denied that any confrontation took place. Instead, he said the two were cordial to one another.